So holds the Maine Supreme Judicial Court, sitting as the Law Court, in today’s decision in State of Maine v. Tucci, 2019 ME 51, — A.3d —. Tucci was found to have fraudulently transferred property in 2009. More than six years later, the State of Maine filed a lawsuit against Tucci alleging that the transfers violated the Maine Uniform Fraudulent Transfer Act (UFTA). The Law Court acknowledged that the UFTA’s six-year limitation period is a statute of repose, which would ordinarily have barred the State’s claim. The Law Court went on to hold, however, that the one-year savings clause enabled the claim to move forward. The savings clause to the UFTA provides that a claim, otherwise barred by the six-year statute of repose, may yet be brought “within one year after the transfer . . . was or could reasonably have been discovered by the claimant.” 14 M.R.S. § 3580(1). The Law Court interpreted this language to mean that the one-year period is triggered on the date on which the fraudulent nature of the transfer could have been discovered, rather than the date on which the transfer itself could have been discovered. The Law Court reasoned that, “[w]ere it otherwise, the claimant could benefit from the discovery rule only by engaging in every readily available means to try to learn of the fraud, regardless of whether it is reasonable under the circumstances.” In reaching this conclusion, the Law Court joins the majority of states adopting the “discovery of the fraud” rule under the UFTA. Many courts, however, have rejected this rule in favor of a “discovery of the transfer” rule. See, e.g, Western Hay Co. v. Lauren Fin. Invs., Ltd., 2011 Fla. App. LEXIS 6353 **7-8 (Fla. Dist. Ct. App. 3d Dist. May 4, 2011); MTLC Inv., Ltd. v. Jones, 2004 U.S. Dist. LEXIS 31985, *9, 2004 WL 5694988 (M.D. Fla. Nov. 4, 2004); Treinish v. Spitaleri, 2006 Bankr. LEXIS 4155, *8 (Bankr. N.D. Ohio May 9, 2006). These courts generally reason that the text of the statute specifically refers to the discovery of the transfer itself, without reference to its allegedly fraudulent nature. 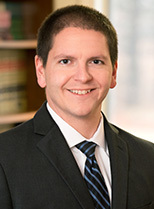 As Judge Sanders of the Washington Supreme Court explained, running the one-year period from the transfer itself is true to the text of the statute and also has the appeal of creating “predictable, final, and uniform time limits within which a claimant’s suit may be filed.” Freitag v. McGhie, 947 P.2d 1186, 1191 (Wash. 1997) (Sanders, J., dissenting). The extent to which the split of authority was argued to the Law Court in Tucci is unclear from the court’s opinion. But, as a result of the Law Court’s adoption of a “discovery of the fraud” rule, claimants wishing to challenge a fraudulent transfer may now do so within one-year of discovering the fraudulent nature of the transfer, even if the claimant knew of the transfer itself for much longer. This article is for informational and educational purposes, and is not intended to be legal advice. You should consult legal counsel to assess the legal issues specific to your case. Libby, O’Brien, Kingsley & Champion, LLC has extensive experience in fraudulent transfer actions.